After Cyclone Gita in February 2018, many families in Tongatapu and ‘Eua were left without safe and secure housing. 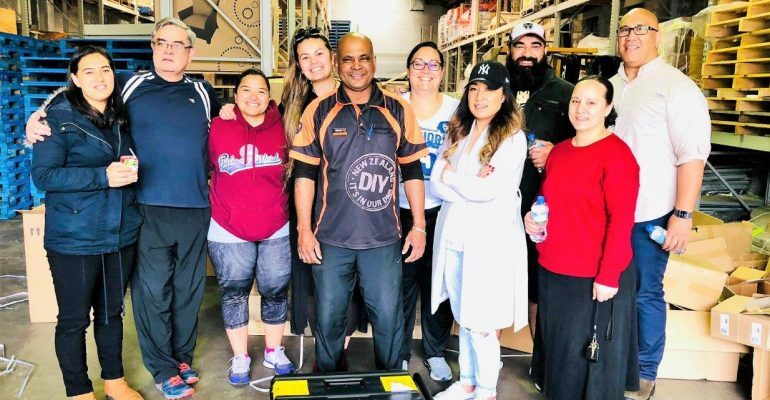 A collaborative project between the LDS Church, MORDI, Tonga Institute of Science and Technology (TIST), Caritas, CARE Australi,a and Tonga Skills is doing something to help. More than 250 houses will be built by over 100 trainees, who at the same time will learn practical building skills and earn a Certificate II in Carpentry from TIST. The project will build houses from timber that is recycled and milled from coconut trees that were blown over in the cyclone. The trainees are males and females aged between 18 and 50 who will work in small teams. They will start work from November and continue through to February building the houses, and simultaneously learning ‘real life’ work skills from master tradesmen. 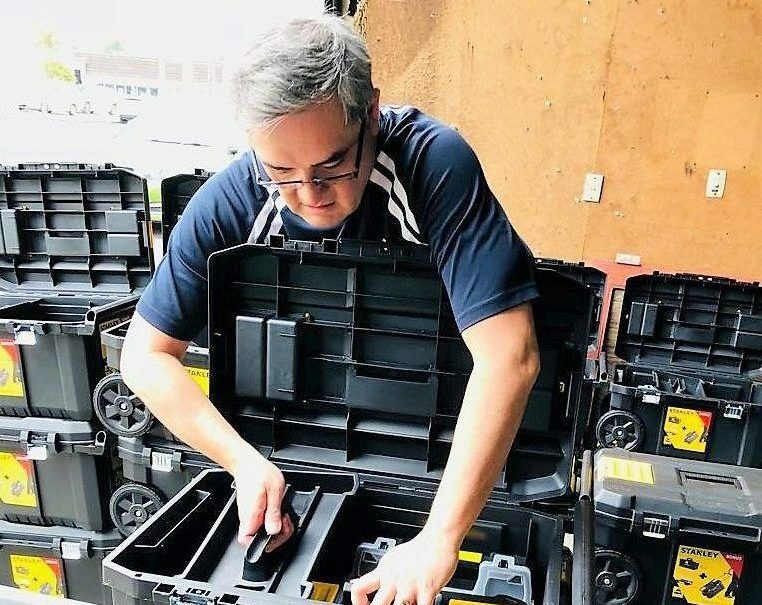 The trainees are being provided with their own tool kits and safety gear valued at $1000 TOP and including boots, gloves, tools, tool kit, equipment belt, hard hats and masks. The trainees can keep these if they work through to the end. All the items for the kits were purchased in New Zealand and packed for fast despatch to Tonga. 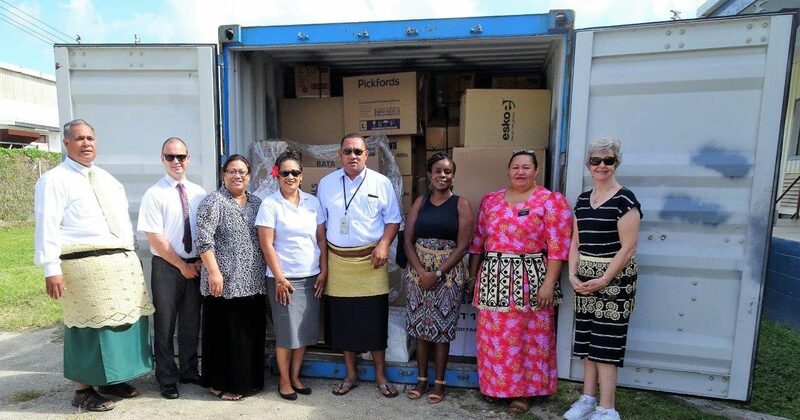 When the container arrived, it was opened by representatives from Tonga Skills and the LDS church who were excited to see the quality of all the equipment. After the project the trainees can continue to work in the construction sector, build their own businesses, apply for work in the construction industry overseas such as New Zealand, or go on to further training. 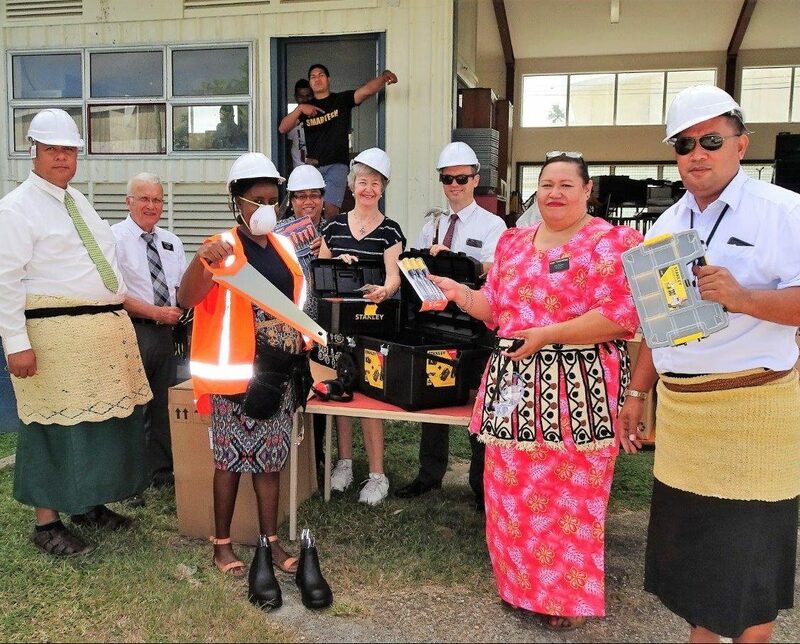 This will improve the number of skilled construction workers in Tonga and those available for overseas seasonal work. Construction is a key sector supporting the Tonga Strategic Development Framework and is a priority for skills development facilitated by Tonga Skills which is funded by the Australian Government.